Outra característica marcante é a participação ativa das universidades nas expedições, muitas das quais patrocinando aventuras para os grandes picos do Himalaia. Destacam-se como as mais ativas, as universidades de Tóquio, Nagoya, Kyoto, Nihon, Doshisha, Osaka e Shinshu. A primeira expedição relevante, sob a liderança de Kinji Imanishi, ocorreu em 1952, sendo realizado reconhecimento da área do Manaslu (8.163m), tentativa de esclar o difícil Annapurna IV (7.525m) e uma conquista do Chulu West (6.419m). Fotos do Manaslu publicadas em diversos jornais e periódicos fascinaram os japoneses, que retornaram no mesmo ano de reconhecimento, 1954 e 1955. Em 1956 a expedição de Yuko Mari finalmente conquistou a “Montanha dos Espíritos”, Toshio Imanishi, Kiichiro Kato e Minoru Higeta viraram heróis nacionais. A montanha passou a ser chamada “O Pico 8.000 Japonês”. Impulsionados pelo grande sucesso no Manaslu, até o fim da década de 50 múltiplas expedições pioneiras foram criadas, Himalchuli Leste (7.893m), Langpo Gang (6.979m), Phurbi Chhyachu (6.637m), Kanjiroba Sul (6.883m), Himalchuli Nordeste (7.742m), Dhaulagiri II (7.751m), Gaurishankar (7.135m), Pangbuk Ri (6.625m), Langtang Lirung (7.227m) e Shalbachum (6.707m). A quantidade de picos difíceis e perigosos conquistados pelos alpinistas japoneses nos anos 60 é impressionante: Noshaq (7.492m) e Himalchuli (7.893m) em 1960; Saltoro Kangri (7.742m) em 1962; Annapurna Dakshin (7.219m), Glacier Dome (7.255m) e Gyachung Kang (7.922m) em 1964; Ngojumba Kang (7.839m) em 1965. Aumentando a lista vários outros montes de menor altitude. O Monte Manaslu fora conquistado três vezes consecutivas por expedições niponicas (1971, 1974 e 1976). Animados com a incrível conquista do Manaslu, os montanhistas se lançaram ao Himalaia e Karakoram, conquistando até 1985 todos os 14 cumes 8.000m, tornando-se o segundo pais a realizar tal feito. Em 1976 venceram a teratológica parede norte do Jannu. Em 1978 foi a vez da primeira subida da longa e perigosa aresta sudeste do Dhaulagiri. Em 1980 o Everest ganhou uma de suas rotas mais célebres, na face norte, por intermédio do corredor japonês. No mesmo ano desenharam uma nova linha na face norte do Kangchenjunga, uma rota bem direta, e que é considerada a mais difícil dessa montanha até hoje. Em 1981 Eiho Ohtani percorreu integralmente a aresta oeste do K2, um itinerário ousado e nunca repetido. No mesmo ano cordada nipônica abriu a via mais difícil no Annapurna até os dias atuais, pelo pilar central da face sul. Grande equipe japonesa foi ao K2 em 1982 e subiu totalmente a aresta norte, outra rota descomunal. Ainda em 1982 time liderado por Noboru Yamada escalou a famigerada “Rota da Pêra” na face norte do Dhaulagiri, com complexidade técnica altíssima, nunca repetida. Em 1984 os japoneses realizaram a primeira travessia entre os cumes Sul, Central e Principal do Kangchenjunga. No mesmo ano fizeram a primeira ascensão da agulha rochosa K7, no Karakoram. Em 1986 abriram uma nova linha na face noroeste do Gasherbrum I.
Em 1987, sob a batuta de Noboru Yamada, revisitaram a face sul do Annapurna, desenhando um novo caminho ao cume à esquerda da rota britânica. Em 1990 novamente o Gasherbrum I, com ascensão pioneira na aresta sudoeste. No mesmo ano veio uma rota diretíssima na face sul do Latok I, um pico muito exigente. Em 1992 duas equipes simultâneas realizaram a 1ª e a 2ª ascensões do Ultar Sar, um dos picos mais perigosos e difíceis da Ásia. Também em 1992 conquistaram o Namcha Barwa. O primeiro septuagenário a pisar no cume de um pico 8.000 foi Toshiko Uchida, um farmacêutico de Yokohama que subiu o Cho Oyu em 2002, aos 71 anos de idade, um recorde para aquela ocasião. E não é um caso isolado. Dos alpinistas que escalaram algum pico 8.000 acima dos 65 anos, a esmagadora maioria é de japoneses. Eles detêm os recordes de “mais idoso” no Manaslu e no Lhotse. No Everest, dos 20 mais idosos que já fizeram cume, 45% são nipônicos. A mulher mais velha a culminar um pico 8.000 é do Japão: Sachiko Orihawa. E em 2008 Yuichiro Miura assombrou o mundo ao pisar no alto do Everestpela rota nepalesa no auge de seus 75 anos de idade. Enfim, o Japão é uma terra de contrastes e de muita tradição e no montanhismo é exemplo a ser seguido, de união, perseverança, respeito pela montanha e luta constante para superar limites. 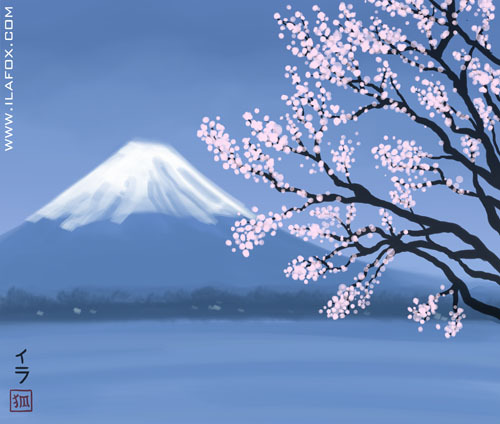 Japan's symbol is the beautiful Mount Fuji (3.776m), near Tokyo. A country that has one of the most beautiful mountains in the world as a national symbol could not ignore the mountain and the Nipponese presence in the Himalayas has always been outstanding and remarkable. With an incredible amount of practitioners, Japan has several mountaineering clubs (Hokei, Sendai, Hosei, Showa, Nerima, Sapporo, Tokyo). It is quite common cooperation between two or more alpine clubs to organize large expeditions. The most famous and prominent of all is the Japanese Alpine Club (JAC), which completed its first centenary in 2005, and remains strong and firm as a world reference. The first important expedition, under the leadership of Kinji Imanishi, occurred in 1952, being held recognition of the Manaslu area (8.163m), attempted esclar difficult Annapurna IV (7.525m) and an achievement of Chulu West (6.419m). Photos of Manaslu published in various newspapers and periodicals fascinated the Japanese, who returned in the same year of recognition, 1954 and 1955. In 1956 the expedition Yuko Mari finally won the "Mountain of Spirits," Toshio Imanishi, Kiichiro Kato and Minoru turned Higeta national heroes. 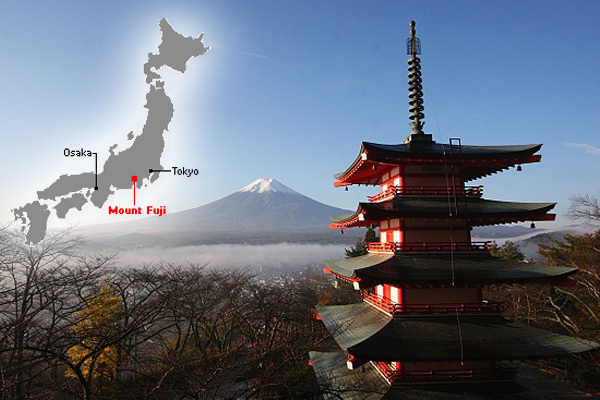 The mountain came to be called "The Peak 8,000 Japanese." Driven by great success in Manaslu, until the end of the 50 multiple pioneering expeditions were created Himalchuli East (7.893m), Langpo Gang (6.979m), Phurbi Chhyachu (6.637m), Kanjiroba South (6.883m), Himalchuli Northeast (7.742m), Dhaulagiri II (7.751m), Gaurishankar (7.135m), Pangbuk Ri (6.625m), Langtang Lirung (7.227m) and Shalbachum (6.707m). The amount of difficult and dangerous peaks conquered by Japanese climbers in the 60s is impressive: Noshaq (7.492m) and Himalchuli (7.893m) in 1960; Saltoro Kangri (7.742m) in 1962; Annapurna Dakshin (7.219m), Glacier Dome (7.255m) and Gyachung Kang (7.922m) in 1964; Ngojumba Kang (7.839m) in 1965. Increasing lists several other hills of lower altitude. The hallmark of the Japanese people is teamwork that helped rebuild the country after World War II. And until recently the cult of the individual was not something frowned upon in Japan. Individualism arises in Japanese society as something very recent, a slow and gradual Western penetration that has intensified in recent decades. Usually the Japanese attack the mountains in large heavy expeditions, with dozens of components, massive use of local hand labor (Sherpas, Tamangs, Gurungs Tibetans Hunzas and Balti), great synergy efforts, and deep respect for elders and the expedition leaders. Almost all the gains were within this collective system. For this group feature not many Japanese who individually stand out in mountaineering. The Japanese are quite daring in mountaineering and always seek to overcome all boundaries and barriers invariably rising complicated and dangerous routes. - In 1970 fully swept the southeast edge of Makalu, an amazing route for those times. The following year opened the route which is considered the most difficult of Manaslu until today, the northwest pillar. - In 1976 they won the teratological north wall of Jannu. - In 1980 the Everest won one of his most famous routes on the north face through the Japanese hall. In the same year designed a new line on the north face of Kangchenjunga, a very direct route, which is considered the most difficult that mountain today. - In 1981 Eiho Ohtani fully toured the western edge of K2, a bold itinerary and never repeated. In the same year cordate Nipponese opened the most difficult route on Annapurna to the present day, the central pillar of the south face. Great Japanese team was to K2 in 1982 and fully climbed the north ridge, another huge route. Even in 1982 team led by Noboru Yamada climbed the notorious "Route Pear" on the north face of Dhaulagiri, with high technical complexity, never repeated. - In 1984 the Japanese made the first crossing of the Southern Alps, Central and Principal Kangchenjunga. In the same year they made the first ascent of the rocky needle K7, the Karakoram. - In 1986 they opened a new line in the northwest face of Gasherbrum I. - In 1987, under the baton of Noboru Yamada, revisited the south face of Annapurna, drawing a new path to the top left of the British route. - In 1990 again the Gasherbrum I, pioneer rise on the southwest edge. In the same year came a diretíssima route on the south face of Latok I, a very demanding peak. - In 1992 two simultaneous teams held the 1st and 2nd rises Ultar Sar, one of the most dangerous and difficult peaks of Asia. Also in 1992 they won the Namcha Barwa. Yasushi Yamanoi been Cho Oyu in 1994 and built a new and direct route in the southwest face, considered suicide, described by Reinhold Messner as "saw where the danger of avalanches is excepecional".In 1995 yet another Japanese route was created in Everest with full ascent of the north-eastern edge with its nearly nine kilometers long and four gap, never repeated. In the same year a brand new line in the edge east of Makalu. In 1995 came a new route on Nanga Parbat Rakhiot flank (which very few times was cast).In this decade they continued with openings of incredible routes, as outsized north face of Gyachung Kang (2002) and a variant in Meru Central (2006). Very few countries can boast of so many difficult routes and many first ascents. But the boldness and the high level of mountaineering took their toll and Japan is one of the countries with the highest number of fatalities in himalaísmo. lost 75 lives were only 14 in the mountains 8,000. If accounted for the entire chain of the Himalayas and the Karakoram, the number of casualties exceeds two hundred. Japanese women have always been ahead of his time and also in mountaineering showed their hipness. In 1974 Naoko Nakaseko and Masako Uchida became the first women to culminate a peak 8,000 and opened the doors of the Himalayas to the female mountaineering.In 1975 comes the figure of the charismatic and famous Junko Tabei, the first woman to culminate Everest. Junko also made the first female ascent to Shishapangma (in 1981), and climbed Cho Oyu in 1996, after 57 years. His most famous phrase: "I am a free spirit of the mountains. "From the 80s she started an interesting and unprecedented project to step foot on the highest point of each of the countries of the world. So far it has collected 120 of these peaks. She was also the first woman to set foot on the technically difficult Annapurna III (7.555m) in 1970.Other prominent names in Japanese mountaineering are Yuka Endo, Taeko Yamanoi, Fumie Yoshida and Tamae Watanabe, each with 4 tops 8,000 in the curriculum. Japan is one of the countries with the highest number of elderly people on the planet, with 27 million (22% of the population), and has one of the highest average life verging 84 years.The first septuagenarian to set foot on the summit of a peak was 8,000 Toshiko Uchida, a pharmacist of Yokohama climbed Cho Oyu in 2002, at the age of 71, a record for that time. And it's not an isolated case. The climbers who climbed a peak 8,000 over 65 years, the overwhelming majority are Japanese. They hold the records of "older" on Manaslu and Lhotse. Everest, the 20 older who have had top 45% are Nipponese. The older woman to culminate a peak 8000 is Japan: Sachiko Orihawa. And in 2008 Yuichiro Miura astonished the world by stepping on top of Everestpela Nepalese route at the height of his 75 years. 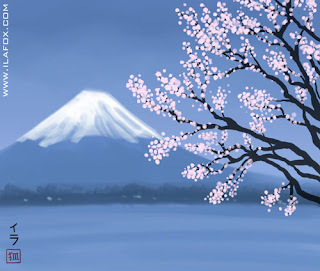 Finally, Japan is a land of contrasts and a lot of tradition and the mountain is an example to be followed, unity, perseverance, respect the mountain and constant struggle to overcome limits.